Salmon always has the wow factor. Massel Concentrated Liquid Stock infuses the fish with flavor. You can use chicken style or vegetable concentrate. Mix Massel concentrate, the juice of ½ lemon and freshly ground black pepper. 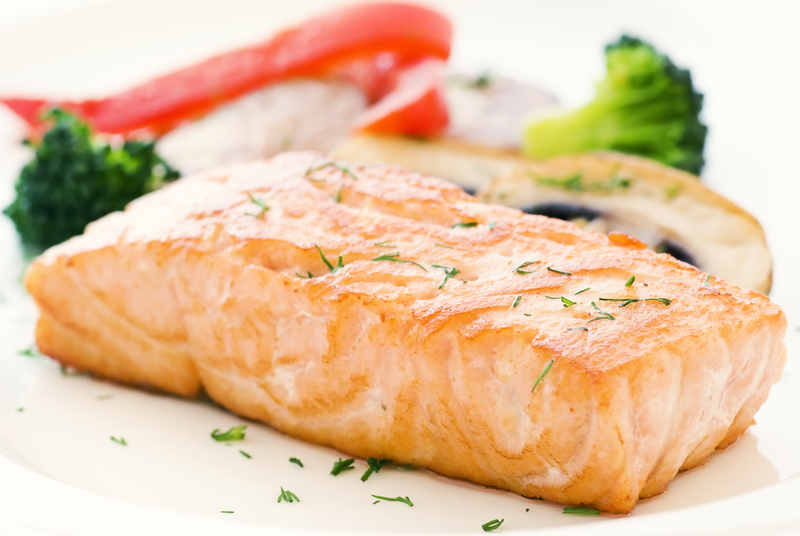 Set your oven to 300F or 160C, and marinate your salmon in mixture for the time your oven takes to get to the desired temperature (about 2 minutes). Line an oven tray with baking paper, and oil the paper. Remove salmon from the marinade and place on the oven tray, skin side down. Bake the fillets for about 15-20 minutes, according to thickness. Remove the tray from the oven to a secure surface, place fillets on their side and remove skin starting from one side and dragging it away to the end. It will come off smoothly and easily. Divide butter evenly and put on each fillet. Drizzle with the reserved marinade.